Betting Line's oldest foals are yearlings in 2019. World Champion. 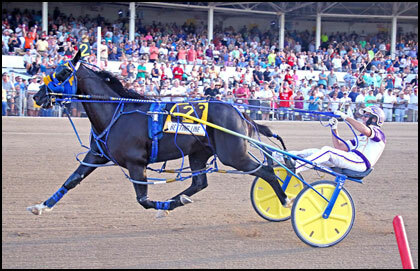 At 2, winner Ontario Sires S. - Super Final at Woodbine, Champlain S., leg Ontario Sires S. - Gold at Mohawk (2), elim. Metro S.; second in Final Metro S., leg Ontario Sires S. - Gold at Mohawk; third in elim. Breeders Crown at Woodbine. At 3, winner elim. and Final North America Cup, Final Battle Of The Brandywine P., Carl Milstein Mem., Little Brown Jug, Ontario Sires S. - Super Final at Mohawk, Simcoe S., leg Ontario Sires S. - Gold at Georgian, Mohawk (3), Somebeachsomewhere P.